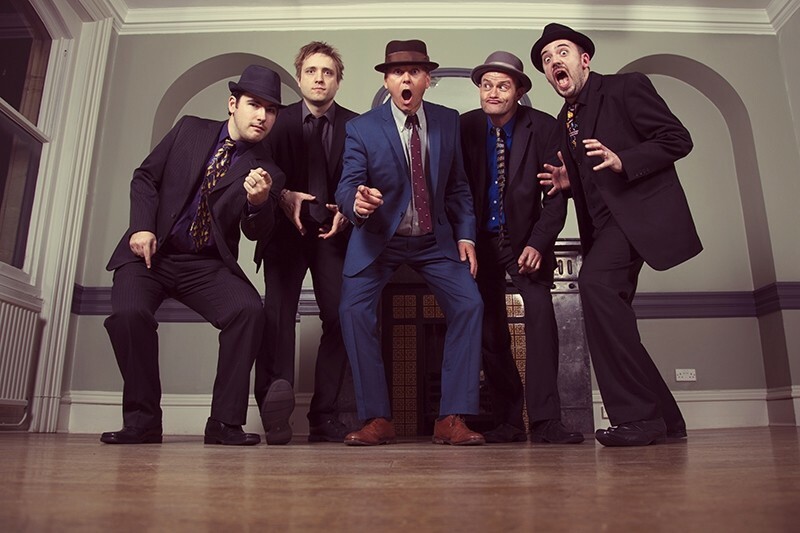 Goosebumps are one of the hottest Swing Jive and Jump Blues bands in the UK. 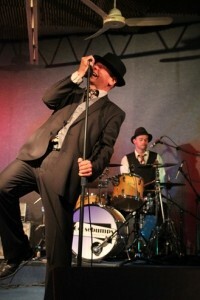 Based in London and suitable for Weddings, Parties, Corporate Events & much more! 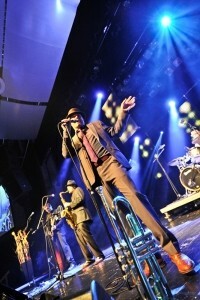 Looking for a Swing band? Goosebumps are one of the hottest Swing Jive and Jump Blues bands in the UK. These Five Guys Named Moe are truly the cats "meow" and will Jive up any event with their Swing. 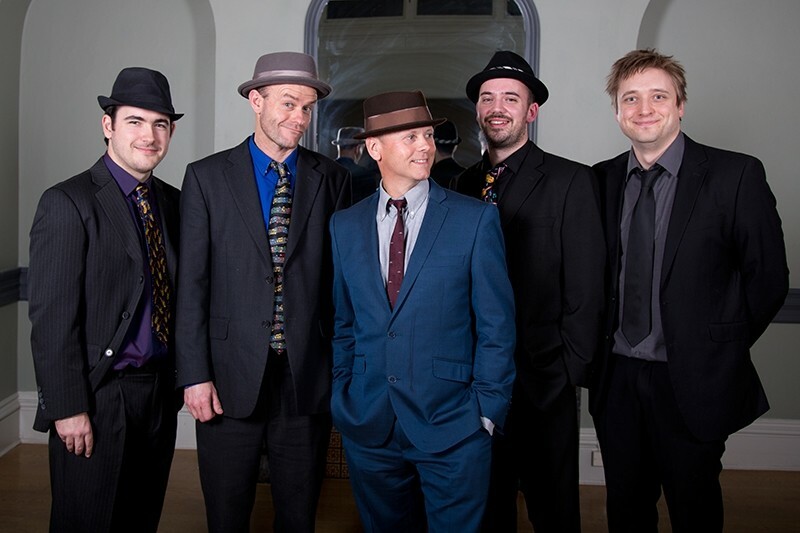 The Jumpingist Jivers in town - the high energy SwingyJazzyJiveyBluesy music is the name of the game with these fellas, from their togged-out period clothes to the in between-song banter, they will guarantee to have everyone up struttin' their stuff on the dance floor. 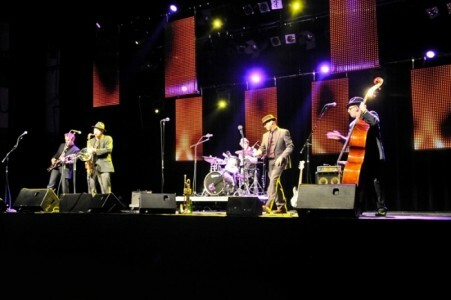 Goosebumps are a five piece swing band who were recently invited to play at a private event in The Seychelles. They have played at many corporate events throughout Europe, including the SPE BBQ in Norway two years in a row. 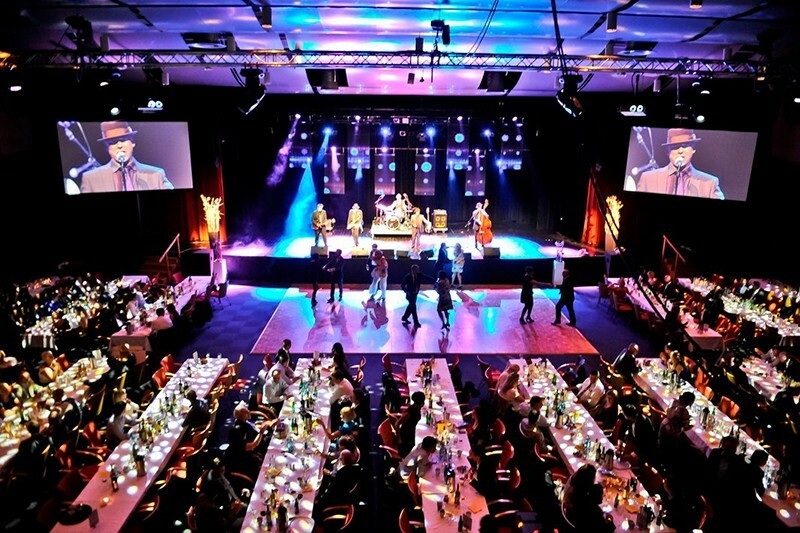 Closer to home, Goosebumps were invited to play at An Evening with Arnold Schwarzenegger, a black tie event with Jonathan Ross interviewing - the band entertained the guests before and after the interview. They were also the band asked to perform at Sir Bobby Charlton's "Find A Better Way" Charity Gala event, London. Sir Bobby subsequently posted a letter to the band saying ... "I am writing to express my sincere gratitude for the fantastic job your band did in entertaining the guests at our recent Gala Dinner. 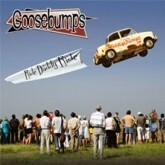 Goosebumps performed with such spirit and energy and your music is both infectious and uplifting. As such, thank you for your contribution in making the event such a success." Also, Goosebumps were the chosen band to play at the birthday party of model/actress Kelly Brook, at her new London club Steam & Rye. Private corporate event held by Rolex, consisting of top professional golfers during the British Open (2011). 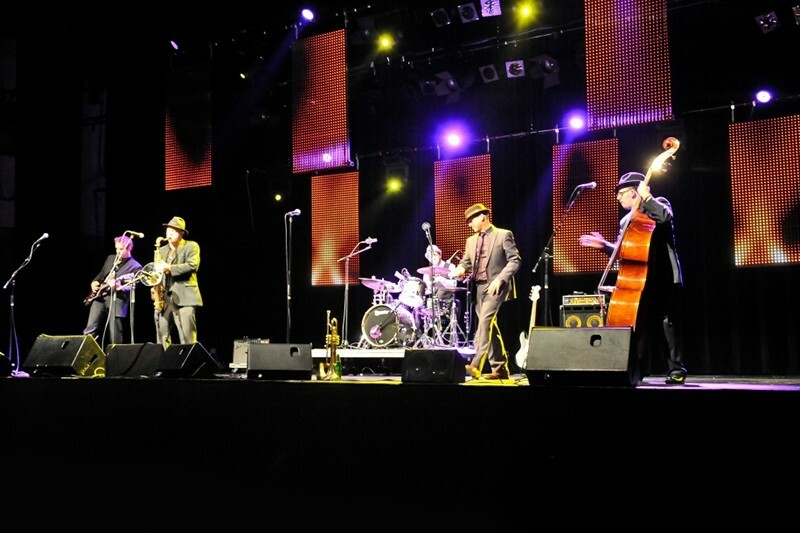 Tom Watson, one of the worlds top golfing legends, subsequently approached the band to congratulate them on their performance. 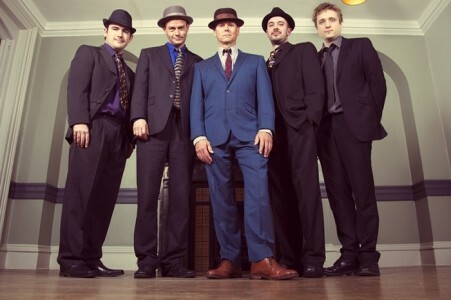 An Interview with London Swing Band Goosebumps! In May 2011 Goosebumps went into the studio (Ten21, one of the UK's top recording studios) to record their latest swing album. Consisting of 14 tracks, the album fully captures the energy and fun that the band create when they perform live. Add this with some top-quality sound production and mastering from Ten21 Studios and the final result is an album that will demand repeat listening!